Scree from the game Primal. I like this illustration. the flames are well done. 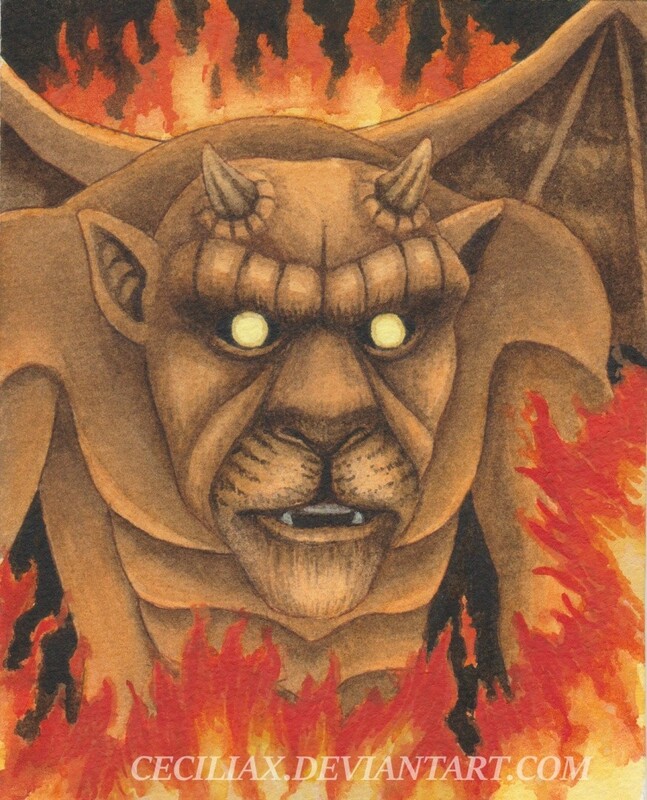 the demon really looks like it is in the middle of a lake of fire.